Current applications are eager to acquire and consume more and more amounts of data coming from distributed heterogeneous devices and sources, specially for IoT and mobile applications. As a developer you need to deal with data in an effective, fast, agile, and secure manner. 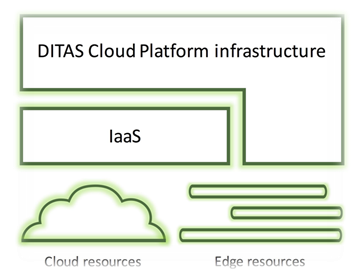 The truth is that edge nodes, only in combination with cloud services, can provide the benefits of both worlds: better bandwidth, latency and security; and reliability and scalability levels required by such Data-Intensive Applications (DIAs).DITAS Cloud Platform allows developers to design data-intensive applications, deploy them on a mixed cloud/edge environment and execute the resulting distributed application in an optimal way by exploiting the data and computation movement strategies, no matter the number of different devices, their type and the heterogeneity of runtime environments. It brings to your developer toolbox the best of Cloud & Edge worlds. DITAS SDK provides extensions of popular tools such as Node-RED to define applications. 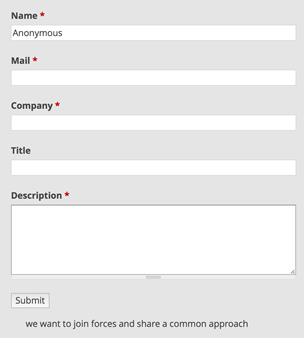 The key element of this tool is to allow developers to design applications by specifying Virtual Data Containers (VDC s) and constraints/preferences for Cloud & Edge resources to be exploited. Applications are then deployed satisfying all constraints based on developer’s instructions and the degree of freedom given by the VDCs. VDCs provide an abstraction layer for developers so they can focus only on data, what they want to use and why, forgetting about implementation details. With VDCs applications can easily access required data, in the desired format and with the proper quality level, rather than directly searching for and accessing them among various data infrastructure providers. At design-time, VDCs allow developers to simply define data requirements, quality and how important data is. At run-time, VDCs are responsible for providing the right data and satisfying requirements by hiding the complex underlying infrastructure composed of different platforms, storage systems, and network capabilities. DITAS EE is based on our powerful execution engine capable of managing a distributed architecture and taking care of data movement and computation, maintaining coordination with other resources involved in the same application. DITAS EE also has a monitoring system capable of checking the status of the execution, track data movements, and collect all data necessary for understanding the behavior of the application. The ICCS team participated in LabDay 2019, organised by @NTUA showcasing outcomes of DITAS project with undergraduate students interested in the project’s technologies, as well as with other research associates. Talking about the DITAS SDK on day #2 of the #DITASProject meeting at @IBM_Israel facilities. DITAS project (Data-intensive applications Improvement by moving daTA and computation in mixed cloud/fog environmentS) project has been undertaken by global service provider Atos (Spain) and IBM (Israel); the European Cloud Provider CloudSigma () and European companies IK4-IDEKO (Spain) and Hospitalle San Raphaelle (Italy); and researchers from Politecnico di Milano (Italy) and the Technical University of Berlin (Germany).